This morning I’m wondering where InBev SA is going to put all that Bud? Yes, I guess it is official: the King of Beers is now InBev SA. 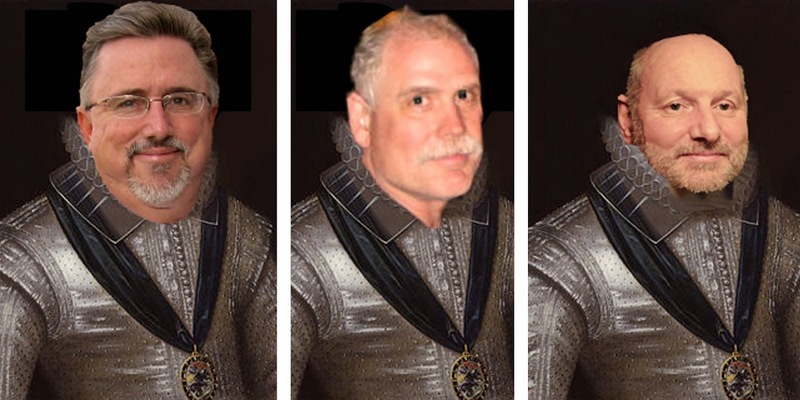 (Yes, that is a Photoshop "artist rendering" of what we might soon see). AB said early Monday it had agreed to a sweetened $52 billion takeover bid from InBev. $52 Billion!? Is that all? InBev is now not only the largest brewer in the world, but it says it will be the world's third-largest consumer products company by market capitalization (whatever that mean) after P& G of the United States and Nestle of Switzerland. 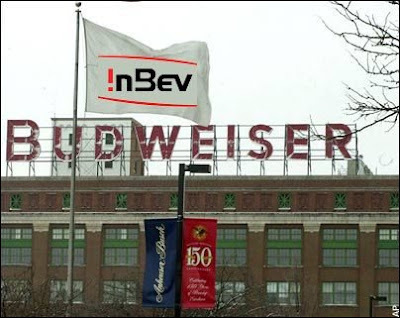 InBev said it plans to use St. Louis as its North American headquarters, and that it will keep open all 12 of Anheuser-Busch's North American breweries. A lot of Americans are as pissed as a middle aged man who has had too many Buds! “It’s not what this country was founded on!” they’re screaming. What? Hell, it was a global economy that founded this country. Trade. We exported. We imported. To do what you do better than anyone else (or at least strive for that). To make a profit! If you’re not making a profit, it’s just a hobby! I really don’t have a moral to this story other than to say that America is not a hobby! It is, however, a free country (okay, far from free, but still…). 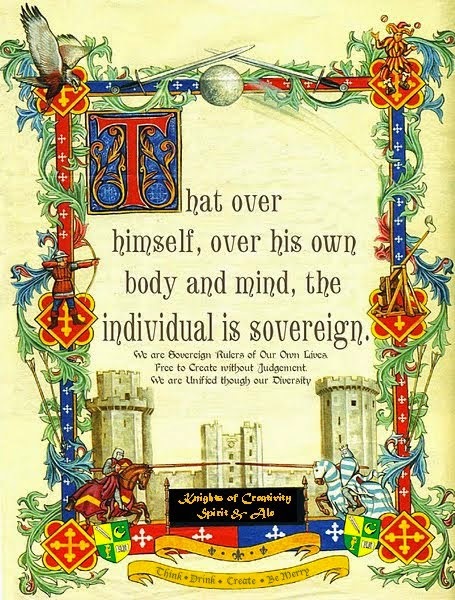 As Knights, we recognize that we are sovereign rulers of our own lives. So, if you don’t’ want to drink “Belgian Budweiser,” then don’t. On the other hand, if a Belgian company wants to offer you $52 Billion dollars for your company and you jump at it, all power to you. I imagine you can start a lot of new little “American Made” companies for that kind of seed money – and the cycle will continue! InBev, this Bud’s for you! I'm Sure Kristen's prices have shot up too considering all the good exposure she has been getting lately. $4000 will buy you five minute. I can think of a lot of hobbies I could indulge in for 52 billion! I'm just wondering why Bud didn't buy Bev? I guess the Siegfried Line actually did work this time? !